"Help me Fido-Wan Kenobi. You're my only hope." So you might have not exactly pictured sending your pooch off to a galaxy far, far away when you got them, but let's face it, this is just a higher calling. Your beloved pet can take all of the knowledge that they've learned in your home and team up with Luke Skywalker to defeat The Empire,The First Order, or whatever tyrannical group is threatening intergalactic peace. 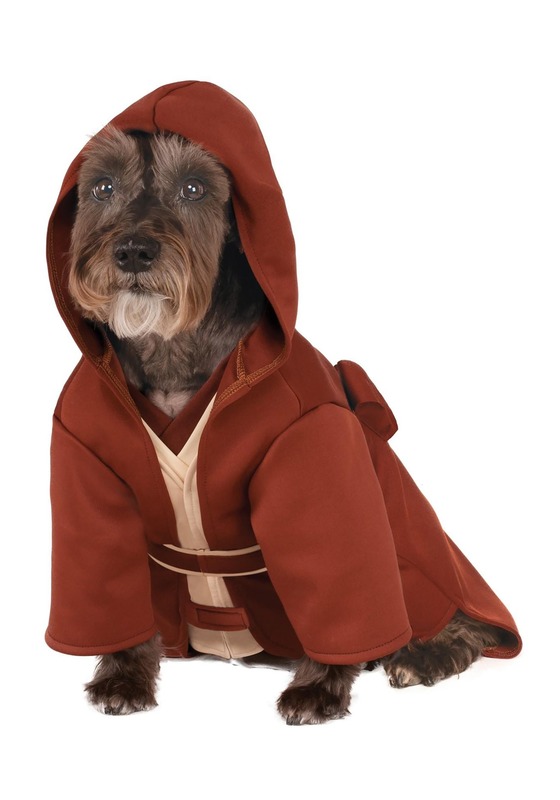 This licensed Star Wars Jedi Pet Costume will give your four legged friend a classic Jedi robe, in a size that's just right for them. Get it for you dog or cat to let them fight for the light side of the force! This costume is wonderful. It has three pieces. The belt even has a little pocket on it big enough to fit a treat for a good dog! It is true to size and also doesn't look uncomfortable for my dog to wear - highly recommend.